Get both our books and DVD’s in one limited package. Basic Massage Techniques and Tissue Mobilisation Techniques, that’s four products for the price of one!! 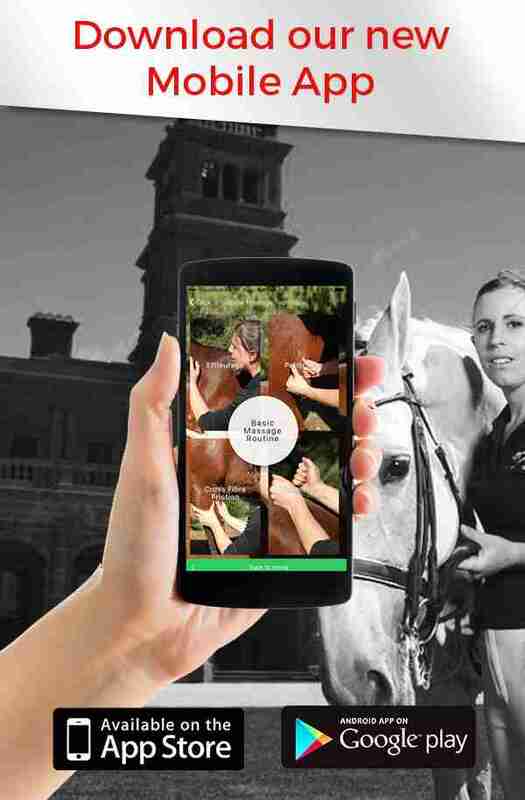 The Basic Massage Techniques Book written by Jessica Blackwell from Equestricare has been designed to help horse owners understand the many benefits of massage. It has been put together in an easy to use manner so that people of all skills can follow it in order to give their horses a basic massage to increase their health, well being and performance. It covers bony landmarks, 37 different muscles, a 30 step massage routine, 20 stretches with lots of colour photographs and illustrations. A must for any horse enthusiast!! 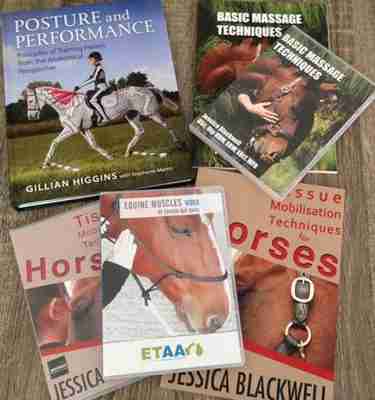 The Basic Massage Techniques DVD is a 40minute instructional dvd on massage moves, stretches and a good warm up and cool down routine for your horse. Professionally edited & produced in Australia. The Tissue Mobilisation book is 92pages and covers 33 new techniques as well as body checks, range of motion checks and an introduction to the soft tissues, skeleton & joints. It is beautifully presented and features the horses from Circus Joseph Ashton. It won’t be launched until Equitana, but if you would like to pre order a copy at the Equitana Special price. The Tissue Mobilisation DVD is a 45min DVD takes the viewer through palpation techniques, as well as a variety of specific Tissue Mobilisation techniques aimed at mobilising the poll, shoulder, knee, spine, pelvis, hip, stifle and hock.